Scott D. Gillogly, M.D., is a board-certified othropedic surgeon and a Fellow of the American College of Surgeons, American Academy of Orthopaedic Surgeons, and American Orthopaedic Society for Sports Medicine. Dr. Gillogly is Chairman of the American Academy of Orthopaedic Surgeons Committee on Sports Medicine Evaluation. He is Past-President of the American Sports Medicine Fellowship Society and a member of the Georgia and Atlanta Orthopaedic Societies, the Southern Medical Association,Southern Orthopaedic Association and the Herodicus Society. He is the former Head Team Physician and Orthopaedic Surgeon for the Atlanta Thrashers NHL Hockey Team and the Atlanta Falcons NFL Football Team. Dr. Gillogly received his Bachelor of Science Degree at the United States Military Academy, West Point, New York, where he excelled as the captain and quarterback of the Army football team. Among his honors at West Point, Dr. Gillogly was named to the National Football Foundation Hall of Fame Scholar Athlete All-American Team in 1975. 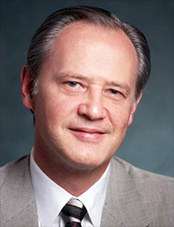 Dr. Gillogly received his Medical Degree in 1980 from Duke University School of Medicine, Durham, North Carolina. He proceeded to a surgical internship and othropedic residency program at Walter Reed Army Medical Center, Washington, D.C.
Dr. Gillogly is sub-specialty trained in Sports Medicine and Arthroscopic Surgery, with an emphasis in the treatment and surgery of the knee, shoulder, elbow, and ankle, having completed a Fellowship under the direction of James R. Andrews, M.D. at Alabama Sports Medicine and Orthopaedic Center, Birmingham, Alabama in 1988. While Chief of Sports Medicine and Director of Orthopaedic Research at Fitzsimons Army Medical Center, Denver, Colorado from 1988 through 1992, Dr. Gillogly authored numerous lectures, exhibits and publications on a wide range of Sports Medicine topics to include aspects of knee ligament reconstructive surgery, shoulder and elbow arthroscopy, and overuse syndromes in athletes. Dr. Gillogly completed a distinguished military career in the Army Medical Corps with the rank of Lieutenant Colonel and received awards to include Meritorious Service Commendations, Southwest Asia Service, and Kuwait Liberation Medals for outstanding service as Chief of Othropedics at an Evacuation Hospital during Operations Desert Shield/Storm. After founding the Atlanta Knee and Shoulder Clinic in 1992, Dr. Gillogly has formed a sub-specialty group, the Atlanta Sports Medicine & Orthopaedic Center LLC in 1992. Dr. Gillogly has served as the Team Physician for the Atlanta Thrashers NHL Team, the Atlanta Falcons NFL Team, and consults with numerous professional athletes, Atlanta area high schools, national and local athletic events. Dr. Gillogly is the Past Medical Director of the Women’s United Soccer Association (WUSA). He is currently the Director of Sports Medicine Training for the Atlanta Medical Center Orthopaedic Residency Program. Following training in Sweden with Dr. Lars Peterson, Dr. Gillogly is one of the early pioneers in autologous chondrocyte implantation, a procedure designed to grow healthy joint surfaces following injury and thus preventing the onset of arthritis. He is the Medical Director of the Cartilage Repair Centers of America. Dr. Gillogly specializes in cartilage restoration, complex knee disorders, biologic knee reconstruction as well as sports and shoulder injuries. The clinical series at the Atlanta Sports Medicine & Orthopaedic Center is among the largest in the United States. Dr. Gillogly continues to lecture nationally and internationally on numerous topics in Sports Medicine.